Understanding transport of thermal and suprathermal particles is a fundamental issue in laboratory, solar-terrestrial, and astrophysical plasmas. For laboratory fusion experiments, confinement of particles and energy is essential for sustaining the plasma long enough to reach burning conditions. 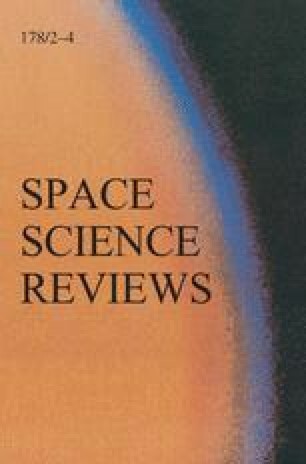 For solar wind and magnetospheric plasmas, transport properties determine the spatial and temporal distribution of energetic particles, which can be harmful for spacecraft functioning, as well as the entry of solar wind plasma into the magnetosphere. For astrophysical plasmas, transport properties determine the efficiency of particle acceleration processes and affect observable radiative signatures. In all cases, transport depends on the interaction of thermal and suprathermal particles with the electric and magnetic fluctuations in the plasma. Understanding transport therefore requires us to understand these interactions, which encompass a wide range of scales, from magnetohydrodynamic to kinetic scales, with larger scale structures also having a role. The wealth of transport studies during recent decades has shown the existence of a variety of regimes that differ from the classical quasilinear regime. In this paper we give an overview of nonclassical plasma transport regimes, discussing theoretical approaches to superdiffusive and subdiffusive transport, wave–particle interactions at microscopic kinetic scales, the influence of coherent structures and of avalanching transport, and the results of numerical simulations and experimental data analyses. Applications to laboratory plasmas and space plasmas are discussed. This work was part-funded by the RCUK Energy Programme under grant EP/I501045 and the European Communities under the contract of Association between EURATOM and CCFE. The views and opinions expressed herein do not necessarily reflect those of the European Commission. The TORPEX experiments and simulations were supported in part by the Swiss National Science Foundation. The authors wish to acknowledge the valuable support of the CRPP technical team. K.G. was supported by US-NSF IRFP grant OISE-0853498. The hybrid Vlasov-Maxwell numerical simulations discussed in the present work were performed on the Fermi supercomputer at Cineca (Bologna, Italy), within the project ASWTURB 2011 (HP10BO2REM), supported by the Italian Super-computing research allocation (ISCRA), and within the European project PRACE Pra04-771 (Partnership for advanced computing in Europe). D.P. is supported by the Italian Ministry for University and Research (MIUR) PRIN 2009 funds (grant number 20092YP7EY). G.Z. acknowledges support from the European Union FP7, Marie Curie project 269198 – Geoplasmas. S. P.’s research has been supported by “Borsa Post-doc POR Calabria FSE 2007/2013 Asse IV Capitale Umano - Obiettivo Operativo M.2”.